Balinese Batik Class are available for groups and individuals in Ubud. 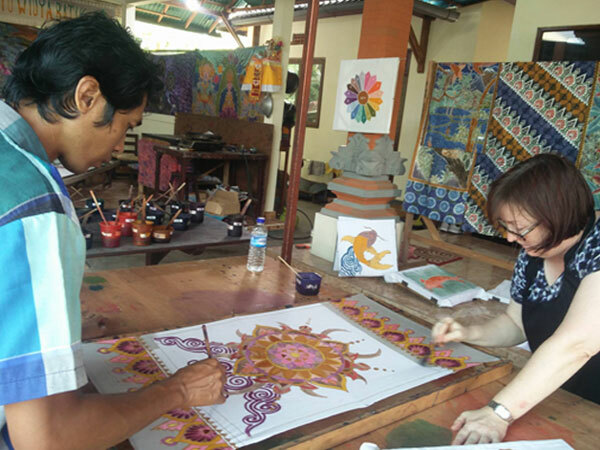 Make a simple batik, Learn all basic techniques, Become confident about them, and Explore Traditional styles! Batik is a pictorial fabric that is specially made by pointing or imprinting on the cloth, then processing it in a particular way that is peculiar. 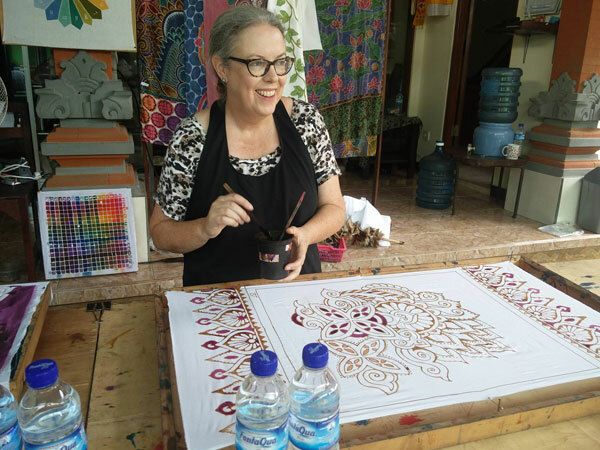 Batik is both an art and a craft, which is becoming more popular and well known in the west as a wonderfully creative medium. 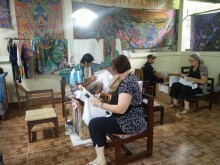 The art of decorating cloth in this way, using wax and dye, has been practiced for centuries. 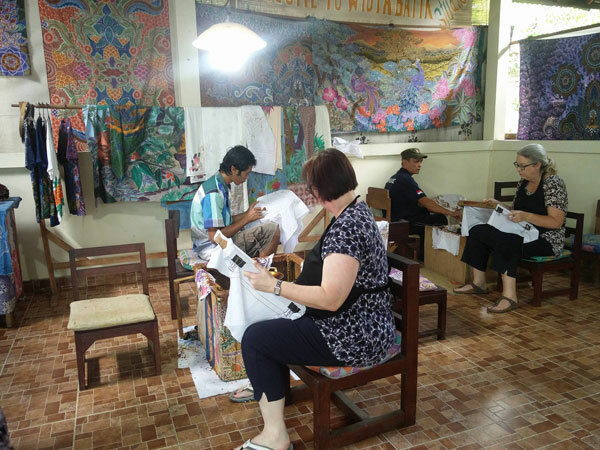 To make batik, certain areas of the fabric are blocked out by brushing or drawing hot wax on it, and the cloth is then dyed. 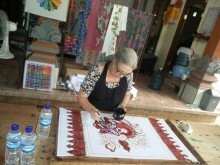 The parts covered in wax resist the dye and remain the original color. The process of waxing and dyeing can be repeated to create more complex and colorful designs. 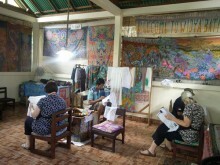 after final dyeing, the wax is removed and the cloth is ready to be wearing or showing. 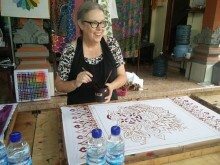 Batik Bali is historically the most expressive and subtle of the resist methods. 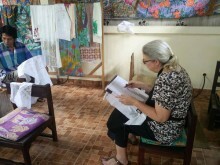 the ever-widening range of techniques available offers the artist the opportunity to explore a unique process in a flexible and exciting way.